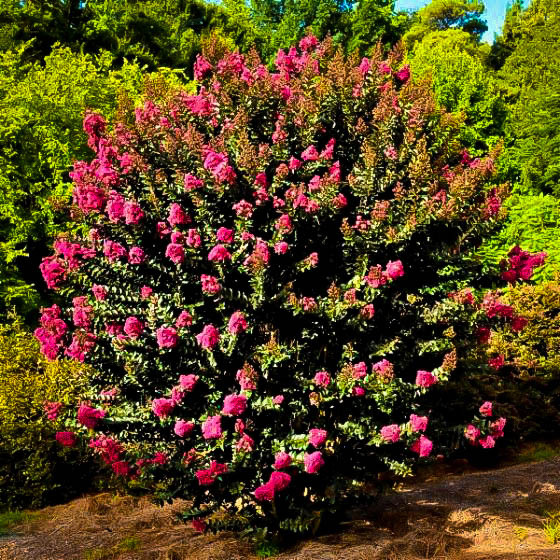 The Plum Magic Crape Myrtle is a modern, disease-resistant variety of this popular shrub, that stands out with its bold plum-purple spring growth. 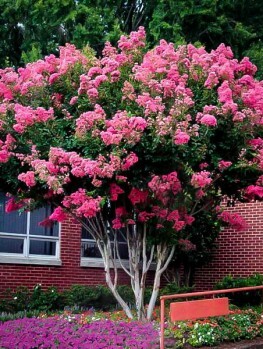 Unlike other crape myrtles with plain green leaves, this plant brings color and interest to the earlier part of the year, before crape myrtles begin their flowering period. This makes it especially useful in smaller gardens, since you get a whole extra season of color from your plant. Later the leaves turn a rich, dark-green, and then from June to September the plant is smothered in clusters of bold, fuchsia pink flowers, that keep on coming and coming, right up to the beginning of cooler weather. Even in winter, the seed heads look striking, along with the mottled bark of the bare, winter twigs. This four-season plant never stops being beautiful and interesting. 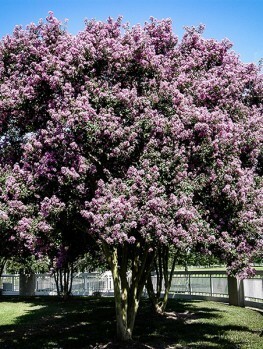 The Plum Magic Crape Myrtle should be grown in a sunny spot, in well-drained soil. Once established it is very drought resistant, and easily handles the heat and dryness of summer, blooming constantly. This variety has also been bred to be resistant to those disfiguring diseases so common on old varieties of crape myrtle, powdery mildew and Cercospora leaf spot. It has no serious pests or diseases, and with its rapid growth it soon becomes a fabulous medium-sized shrub for any garden in warmer zones, looking beautiful all year round. 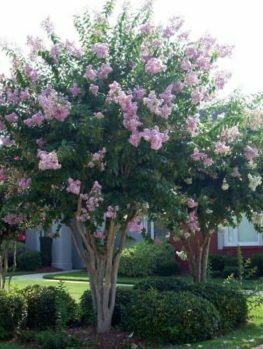 Crape Myrtles are well-known for bringing months of vibrant color to our gardens, and for being easy to grow and tolerant of heat and drought. 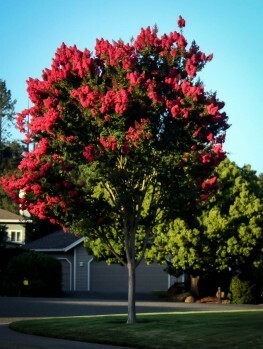 But like any plant that flowers in summer and fall, in spring a Crape Myrtle is basically a green bush – or at least it used to be. 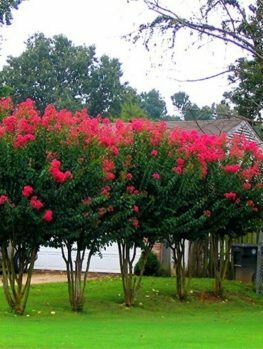 Since the introduction of the amazing Plum Magic Crape Myrtle, we don’t have to settle for that green bush in the spring months anymore. 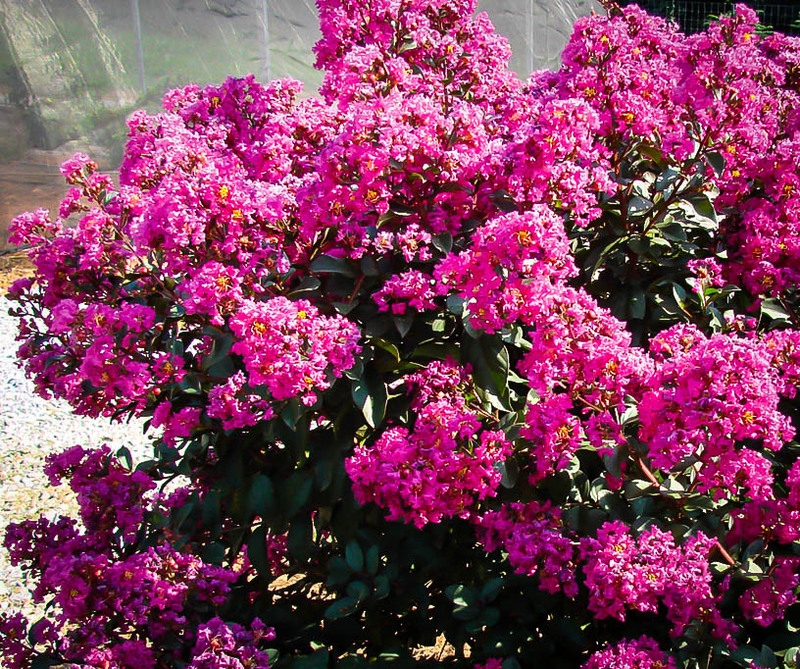 This terrific new plant has spring growth that is a rich, plum-purple, so now your Crape Myrtle bushes are colorful in spring too. 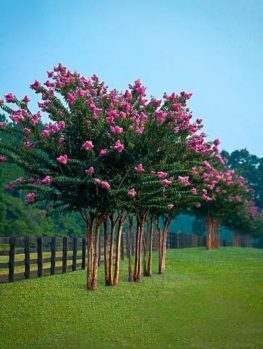 The Plum Magic Crape Myrtle forms a rounded bush 6 to 10 feet tall and the same size across, making it ideal for an informal barrier, or a specimen in a medium-sized lawn. It also looks great mixed with other shrubs in a border, and because it is so easy to grow, it will bring tons of color for very little work. In spring the new shoots on this deciduous shrub are a vibrant plum-purple color, something very rare in Crape Myrtles, and something that brings wonderful color to your garden early in the year. Later the foliage turns an attractive rich dark-green color, but very soon afterwards the flowering begins, and this will continue until cold weather arrives in late fall. Even in winter this shrub is attractive, because it had interesting seed heads after the last of the flowers, and the bark of the main stems is a handsome blend of gray, beige and orange-brown, arranged in irregular patches. The flowers of the Plum Magic Crape Myrtle are vibrant fuchsia pink, and they are carried in many clusters, smothering the plant from early June well into September. Each cluster is 4 ½ inches long, and 3 inches wide at the base. Each cluster is packed with flowers, and as they fade they fall, leaving the clusters bright and free of dead flowers. As all the flowers finally fade, new flower cluster form. You can help keep your bush producing more and more flowers by removing the spend flower clusters once the last flowers fall, and before they begin to make seeds. Cut back to the first pair of full-sized leaves. Towards the end of the season, if you want to see seed pods in winter, stop trimming while there are still plenty of flower clusters in bloom. 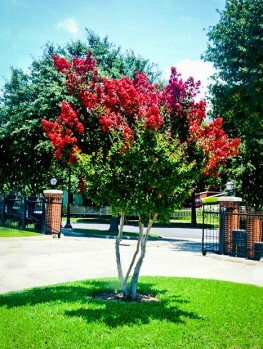 Plant the Plum Magic Crape Myrtle in full sun. It will grow in a little shade, but flower production will be reduced. It will grow well in almost any kind of soil, including poor, stony ground, and once established it is very drought-resistant, so it takes care of itself, even during the long dry weeks of summer. Do not plant in wet, poorly-drained places. Allow enough room for development, considering the likely spread of the plant. The only care needed is an annual pruning. Do this just as new growth begins, and trim strong shoots back by one-third, cutting just above a pair of buds. Weaker shoots should be removed completely, to avoid the bush becoming too crowded, or they can be cut-back by two-thirds to encourage sturdy new shoots. Never trim the new growth before flowering, as the flowers are carried at the end of the new shoots, and you will remove them if you try to ‘neaten’ your shrub too soon. As well, the Plum Magic Crape Myrtle has been especially bred and tested to resist the common disease powdery mildew that regularly covers the leaves of older varieties with unsightly white powder in summer. Your plant will still fresh, glossy and rich green all summer long. It is also resistant to the more serious Cercospora leaf spot fungus, which causes spotting of leaves in summer and early leaf drop, leaving plants bare and unsightly by early fall. You do not need to worry about either of these diseases, because the Plum Magic Crape Myrtle has been bred to resist them. 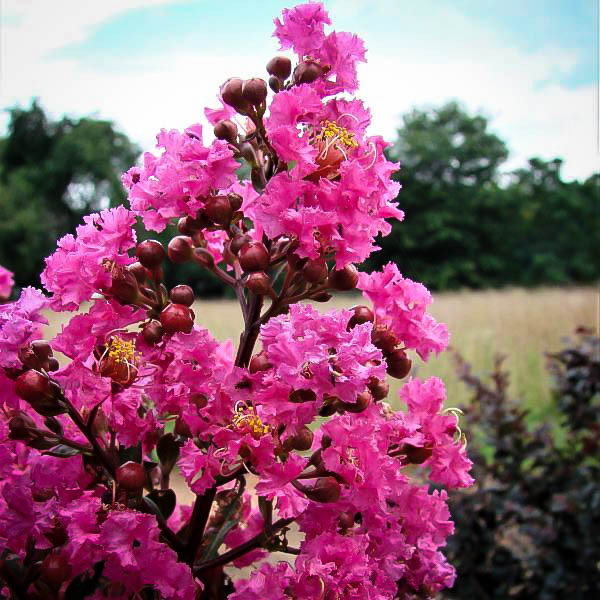 The Plum Magic Crape Myrtle was developed by growing and carefully selecting two generations of new plants with seed collected from the variety ‘Pokomoke’. This Crape Myrtle was itself created by the National Arboretum, Washington, D.C., by crossing two varieties of Crape Myrtle, the common Crape Myrtle (Lagerstroemia indica) which comes from India and China, with the Japanese Crape Myrtle (Lagerstroemia fauriei). The continuing breeding of the new plant was carried out by the famous American plant breeder, Michael Dirr, and his business, Plant Introductions Inc. This company is today a part of the wholesale plant grower Bailey Nurseries. With its unique plum-purple foliage, this new plant was named, ‘Plum Magic’, patented in the USA in 2013, and released as part of Bailey Nurseries’ First Editions® plant line. 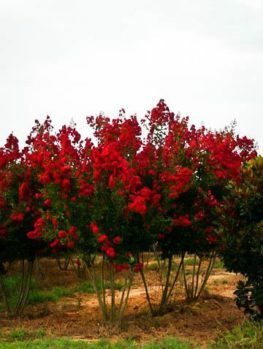 Our plants are produced under license from the patent holder by skilled growers, and such a highly bred plant cannot be compared with cheaper plants grown from seed or sold simply as ‘Crape Myrtle’. It always pays to choose the best, and with this great plant you get colorful spring growth, months of vibrant fuchsia flowers, and easy-care – all rolled into one. Our stocks are limited, so order right away, while we can still ship you this great plant for your enjoyment.